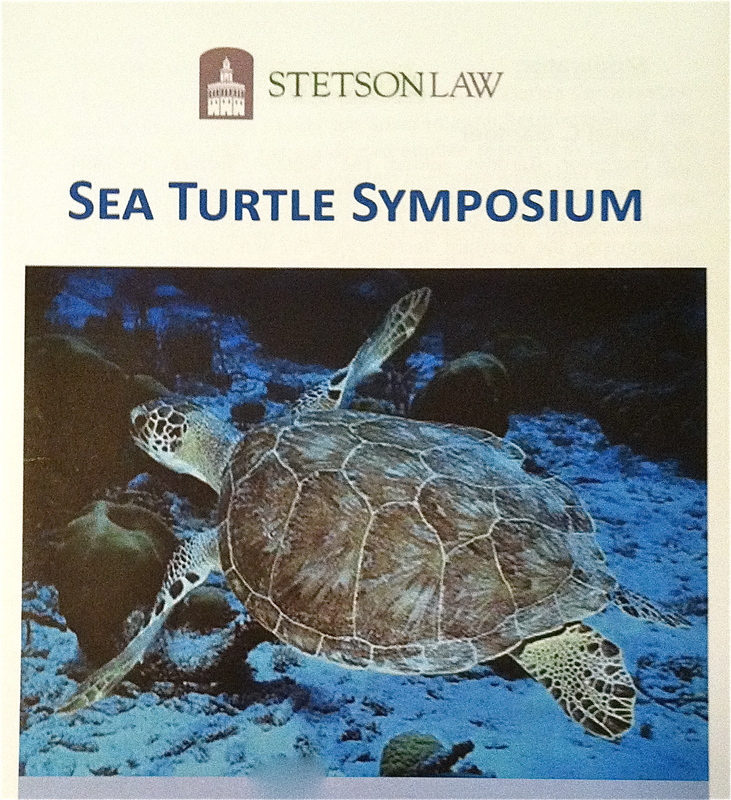 Prior to the Consultative Committee’s meeting, Ms. Veronica Caceres, the treaty Secretariat Pro-Tempore, came to visit St. Petersburg’s Stetson University to participate in the Sea Turtle Symposium held by the university’s law school. 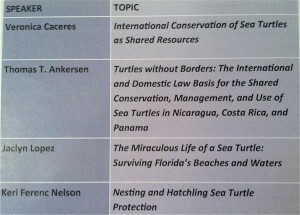 The event’s moderator Professor Roy Gardner, who spearheaded the project, created a forum of five speakers to discuss and debate the leading issues in sea turtle conservation from an international to local level. In doing so, he showed the type of policy and support the Tampa Bay area could muster to address sustainability issues such as sea turtle conservation. The timing of the forum was particularly important, as the Secretariat would soon be returning with the Consultative Committee where the advantages of having the treaty hosted at Stetson would be discussed. The other three speakers were locals: Ms. Jaclyn Lopez, Ms. Keri Nelson, and a representative of the Don Cesar. 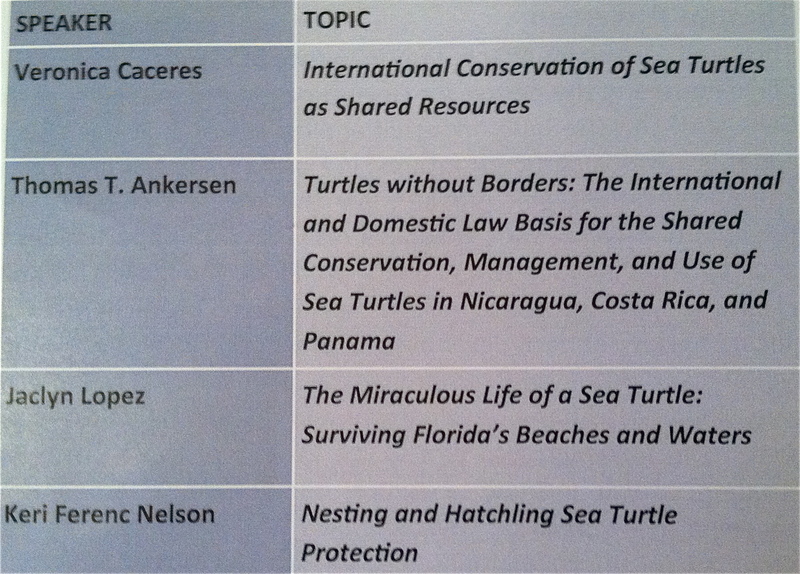 Ms. Lopez is a campaign specialist in working to protect imperiled species such as the sea turtle. She talked about how, unlike some creatures and ecosystems, the sea turtle receives relatively wide public support in protective policies. 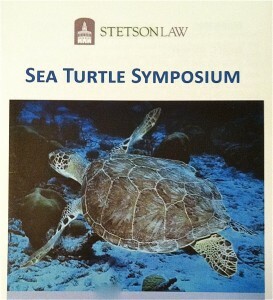 Ms. Nelson, a Wildlife Specialist for Sarasota County, helped implement the county’s Marine Turtle Protection Ordinance. In her speech, she explained the tensions between beach development and conservation efforts. For her, however, the solution resides in improving technologies that allow for greater coexistence and increasing public awareness that creates better support of natural beach resources. Finally, a representative of the Don Cesar showed the affects of hotel lighting on beach’s artificial luminosity, a dangerous distraction for newly hatched sea turtles. His representations of local beaches showed recent improvement in hatchling destruction due to increased awareness among commercial properties. As the symposium was wrapping up, I had the opportunity to speak with Ms. Caceres who seemed pleased at the success of the event. She reflected on the cooperation she saw between different local groups all working toward sea turtle protection as an “important step” in establishing the area as a proactively protective haven for these endangered creatures. The attending participants hope Stetson’s ability to hold symposiums such as these will help convince the Secretariat and eventually the Convention of the advantages of being hosted here.